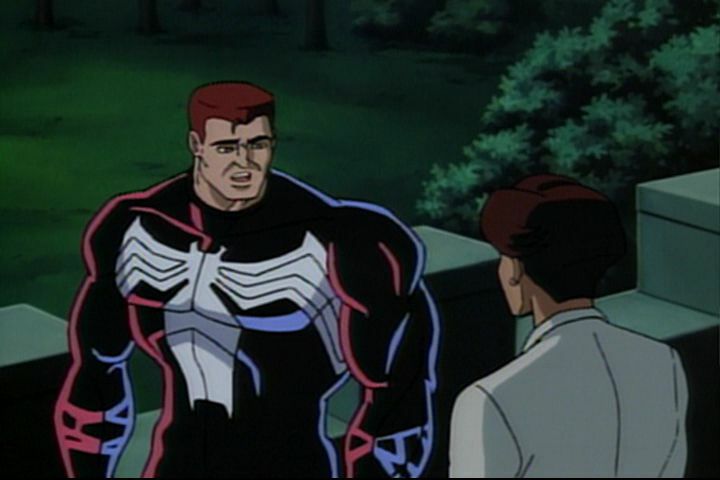 Just to make clear, this is the 1994 animated Spider-Man, not that 1980's Spider-Man and definitely not the recent Spider-Man movies. Okay, we start off with some astronauts up in space, exploring a newly discovered meteor. One of them finds an interesting type of rock, but when he picks it up some black ooze starts pouring out of the crack from which it came. 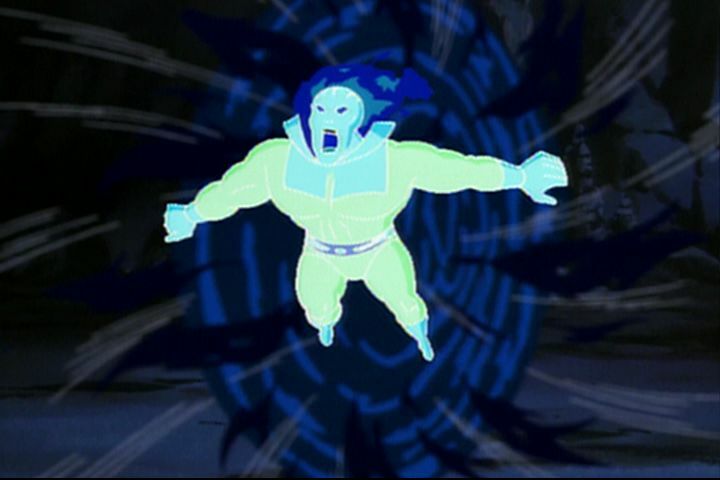 He rushes back to the space shuttle as quick as he can, but then once the shuttle starts to reinter the atmosphere, more black ooze surfaces from the rock samples, and starts to envelope the astronauts. 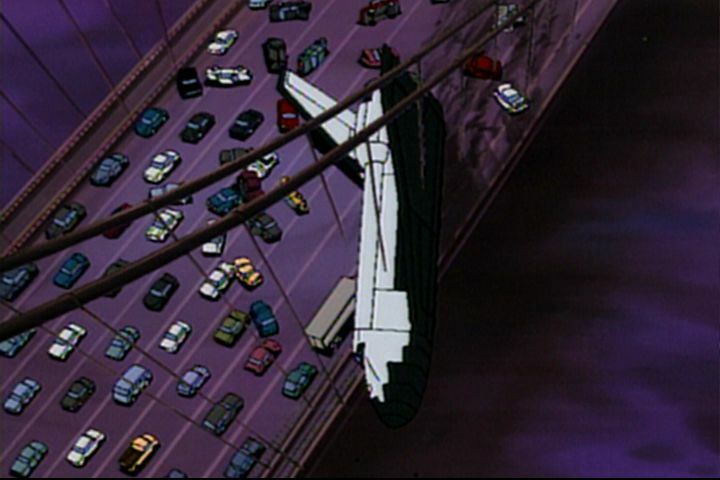 The crew has no choice but to make an emergency crash landing on the Washington Bridge. Unfortunately, someone is waiting for them, and it's not the rescue party. 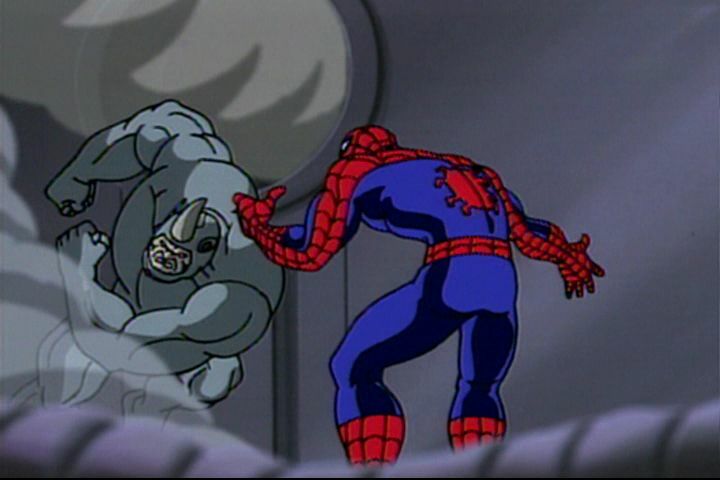 Rhino, called in by Kingpin to steal the rock samples, runs into Spider-Man before he has a chance to escape undetected. 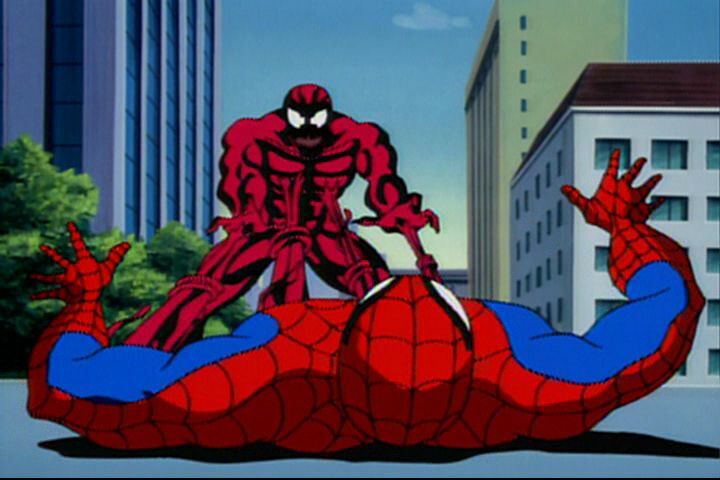 He still gets away, however, as Spider-Man has to save the shuttle crew. 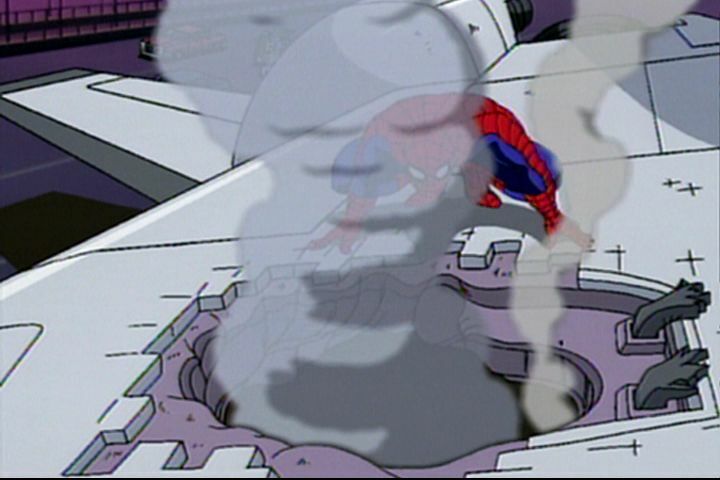 After that task is done, he hears something inside the shuttle, and goes to check it out, but the shuttle falls off the bridge and poor Spidey ends up in the water. 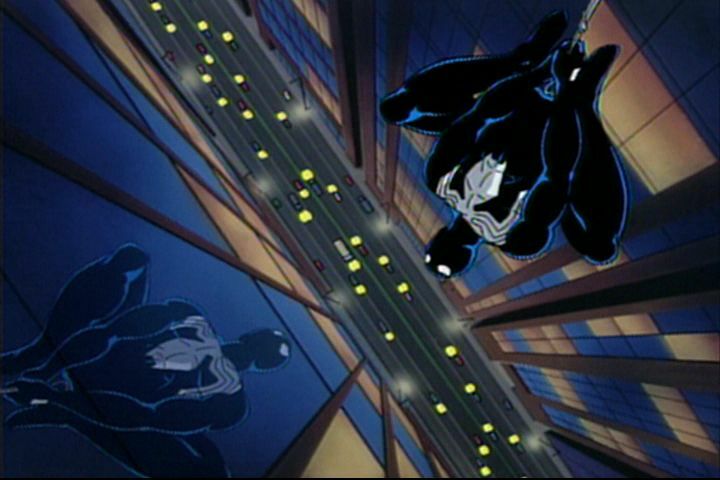 Oh yeah, and all the while, B rock, who has a serious beef with Spider-Man and who just happened to be on the bridge at the time of the crash, captures the whole event with his camera. 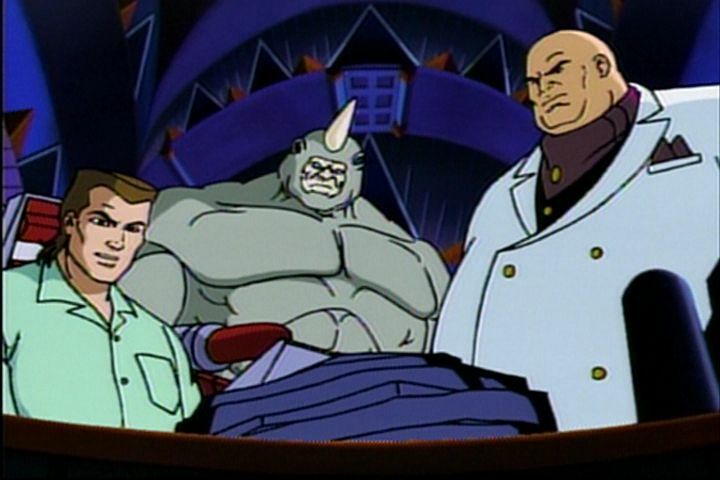 Of course, when he brings the photos to B. Jonah James on, he leaves out the ones of Rhino in order to frame Spider-Man for the theft. 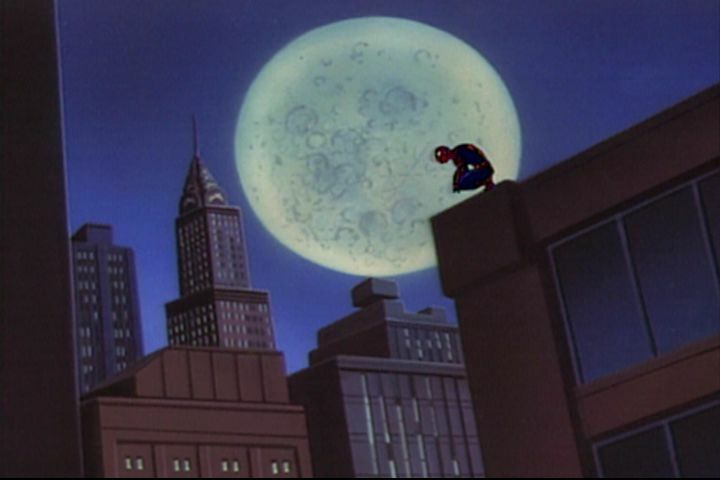 So now James on is pissed, and puts out a one million dollar reward for the capture of Spider-Man. 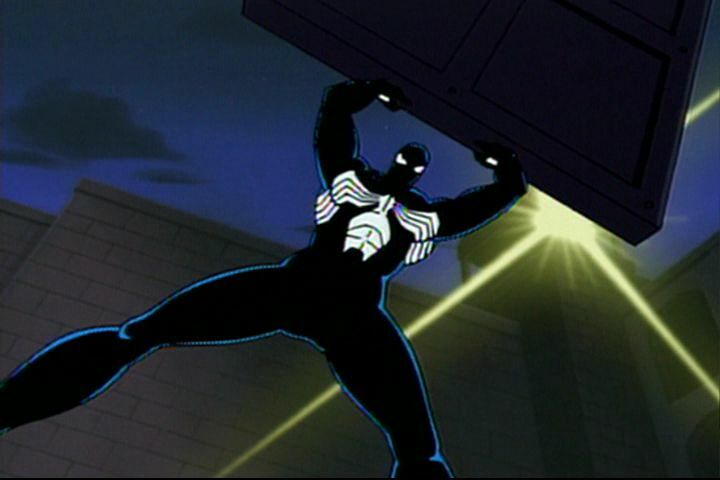 Meanwhile, after a nightmare, Peter awakes to find himself hanging upside-down, outside, in a new sleek looking black costume. 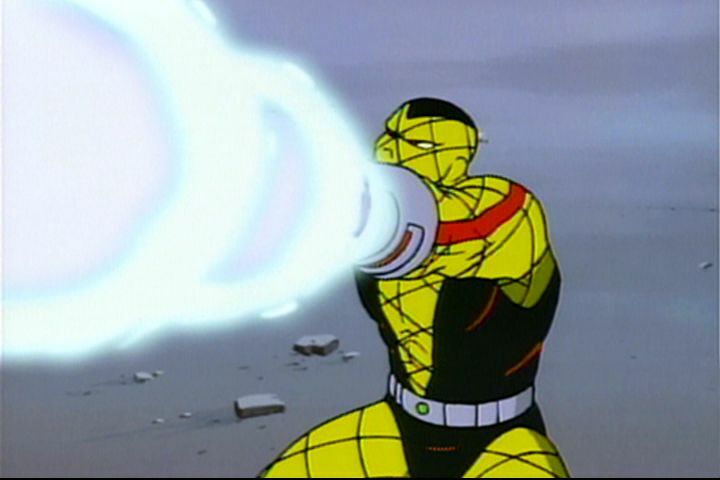 He quickly discovers that it's not just any old suit, either, for it enhances all of his Spidey powers. 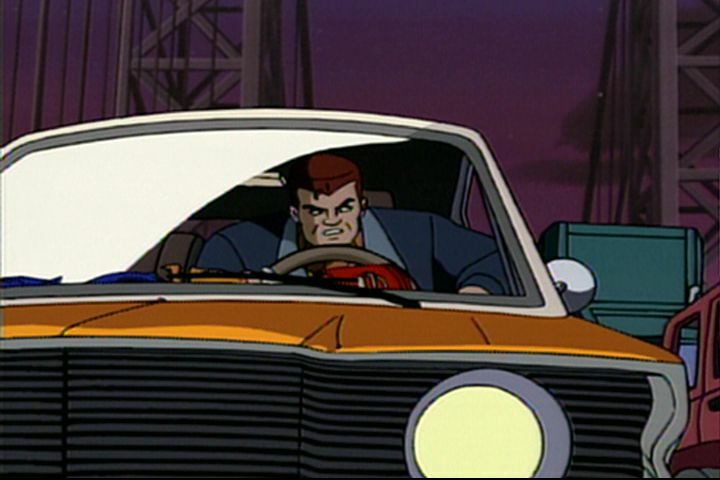 Unfortunately, he also soon discovers that it increases his aggression as well. 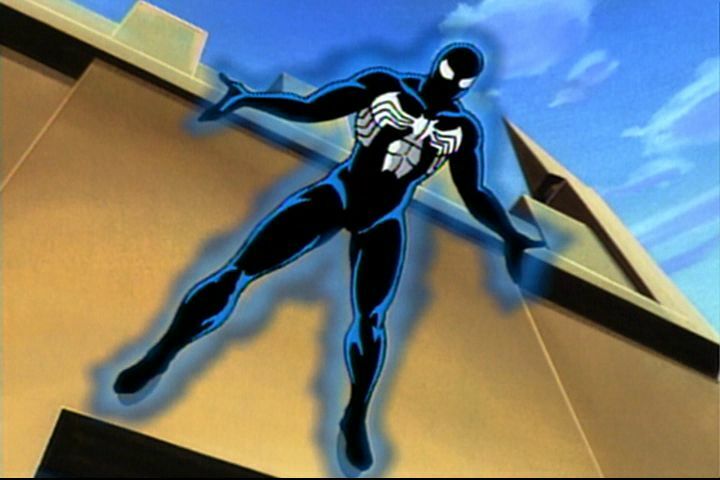 An analysis of the suit with the help of Dr. Conners shows that the suit is actually a living creature, a symbiote, and that it will eventually replace its host. 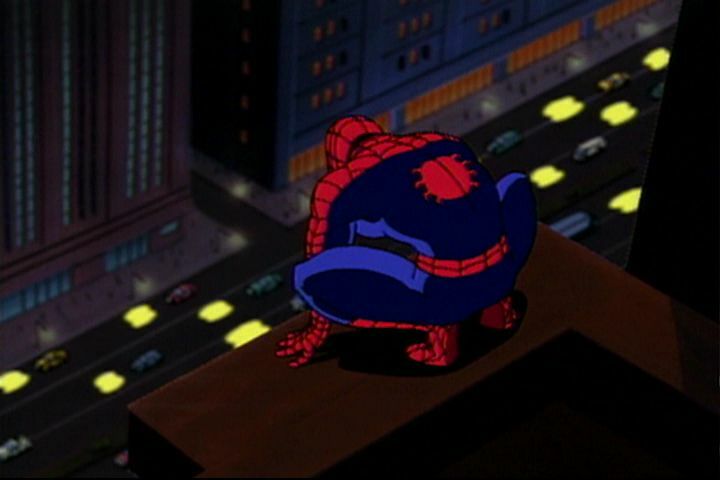 Peter realizes that the suit must go, but he's not willing to give it up just yet, not until he retrieves the stolen rock. 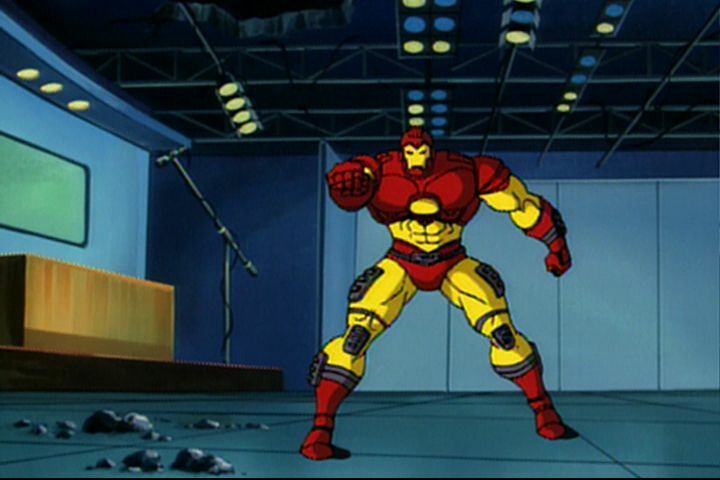 With his new powers, achieving this goal is no problem, but getting rid of the suit is more difficult than anticipated. When he does finally manage to get it off, it seeks a new host, that of Eddie B rock. 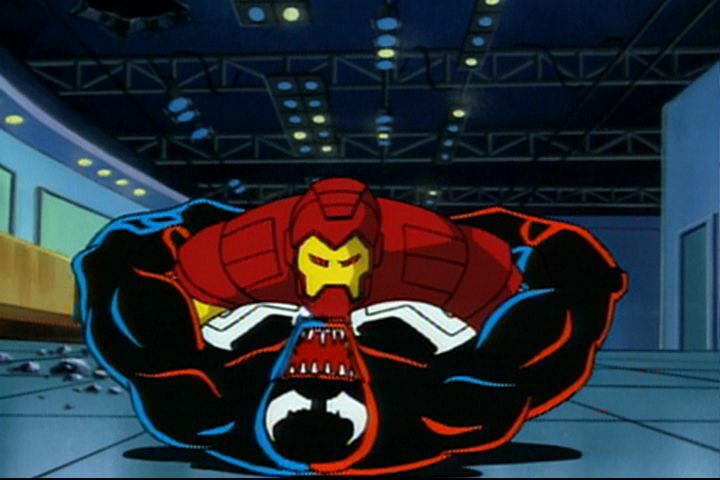 B rock's hatred of Spider-Man combined with the power of the symbiotic sludge transforms the two beings in a creature more powerful than Rhino, Shocker, or even our own friendly neighborhood Spider-Man... the maniacal Venom! 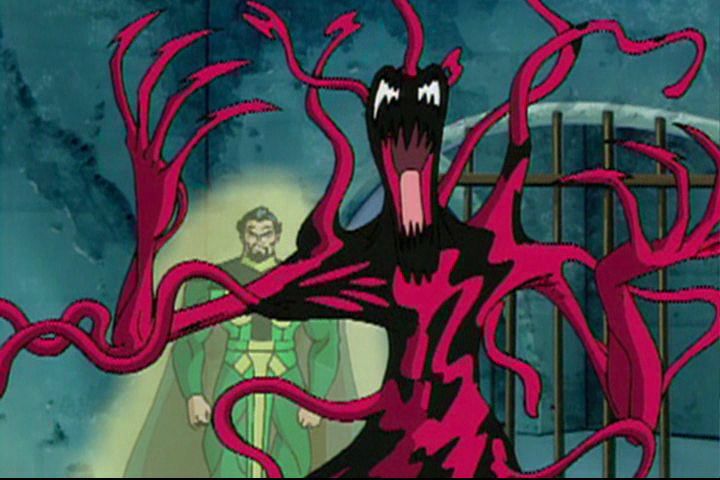 And if that wasn't bad enough, the second Venom chapter introduces a villain even more power than Venom... another symbiotic monster, the offspring of Venom, combined with a homicidal psychopath to create Carnage! 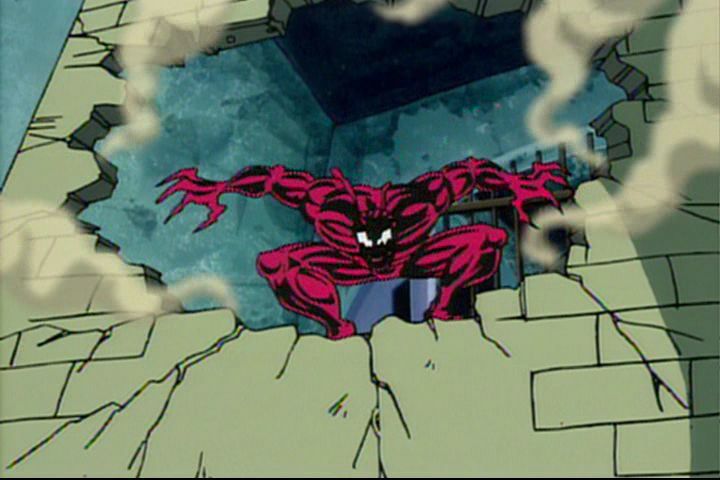 Our hero's gonna need help from Iron Man, War Machine, and even Venom himself if he's to have any hope of stopping Carnage from bringing a super-destructive being into our dimension! 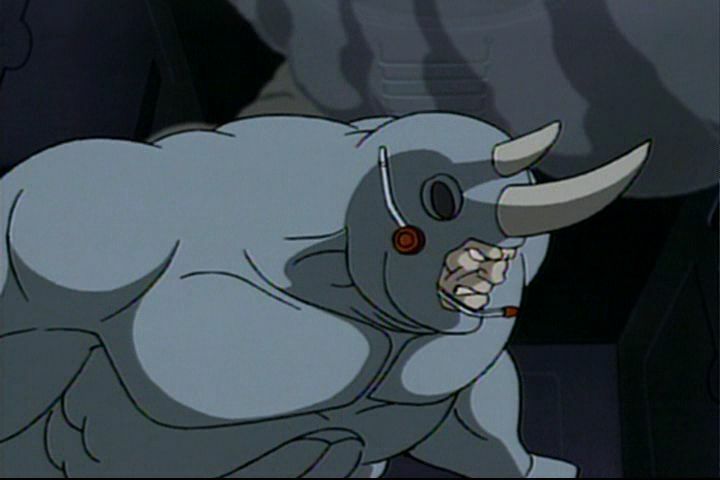 The art and animation here is not bad, but is far from spectacular, and definitely doesn't stand up to anime. The 3D CG city scenes are downright horrible (remember, this is 1994 computer graphics), but luckily they don't show up too often. 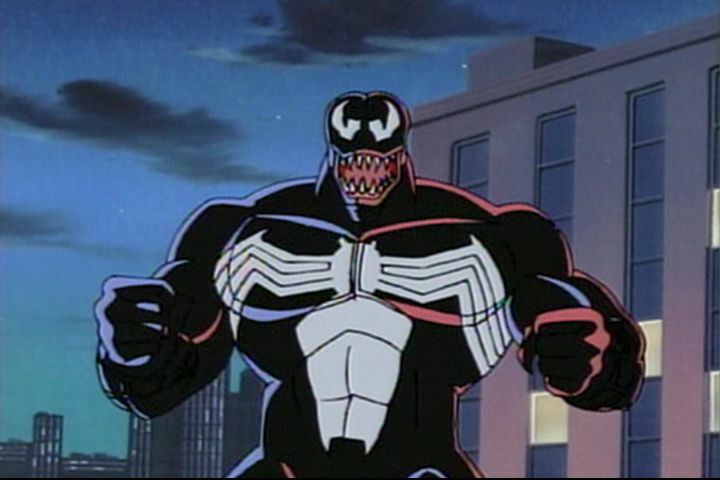 Story-wise, it was pretty good, and I understand why they couldn't keep the Venom origins the same as it was in the original comics. 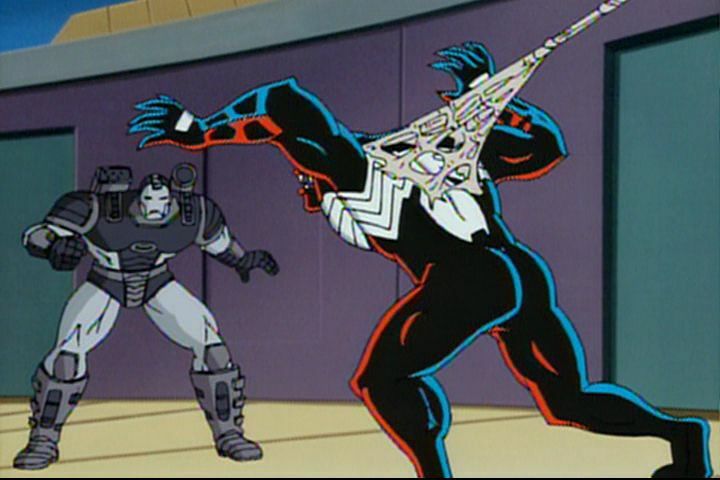 Usually I hate when they change origin stories, but it just wouldn't have been possible here because of the whole Secret Wars with all the other superheroes that took place in the comics, and the tale the writers crafted was a reasonable substitute. This disc is a single sided DVD, and has a cool piece of cover art. 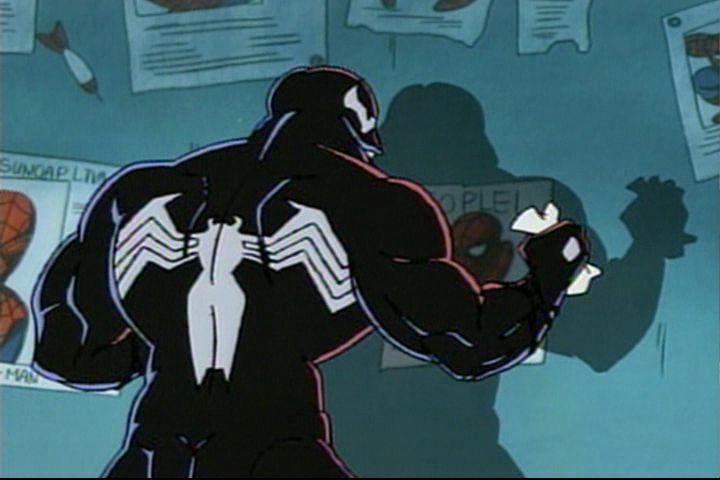 It contains the original three episodes introducing Spidey's black costume and Venom, and it also contains the two episodes when Venom returns and has an offspring. 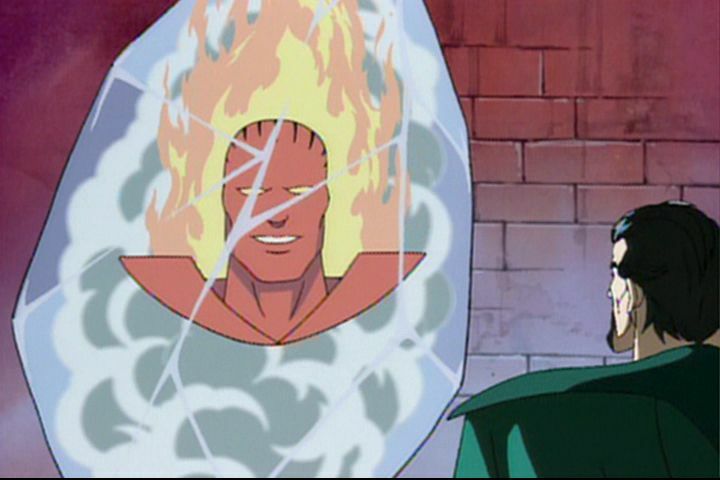 Five episodes is pretty good for the $14.99 price tag. The disc also contains some extra features. 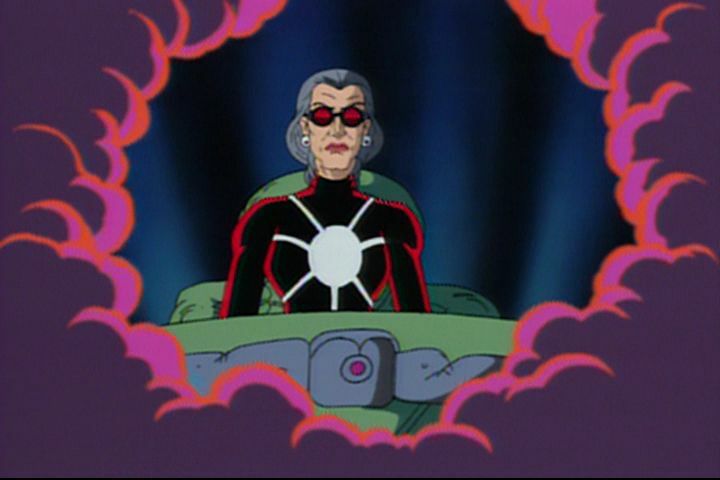 One's called "Stan Lee's Soapbox", where Stan Lee just talks about some Venom stuff. 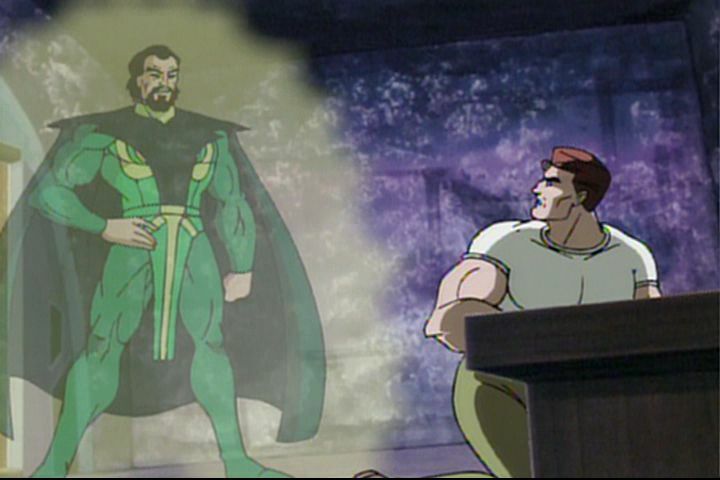 This is pretty boring, as is the five exclusive episode introductions by Stan Lee. 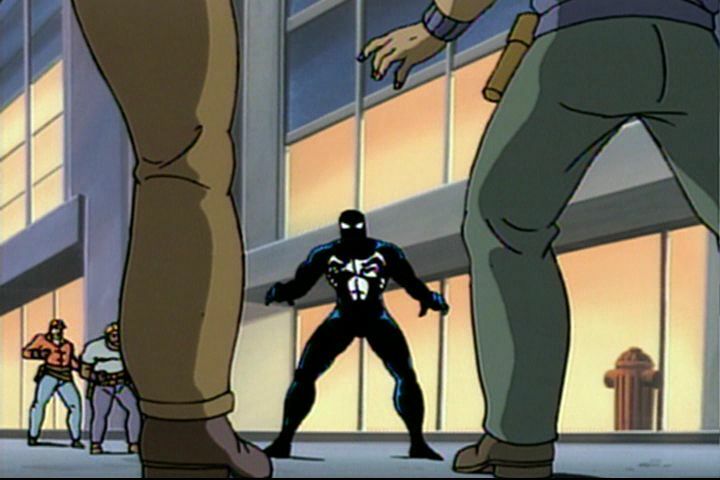 The one extra that is pretty cool is "The Venomous Web", where you learn all about Venom and his true origins from the comics. 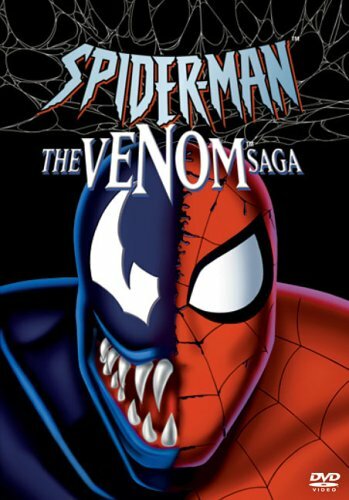 Spider-Man - The Venom Saga is being released by Buena Vista Home Video on DVD starting June 7, 2005. 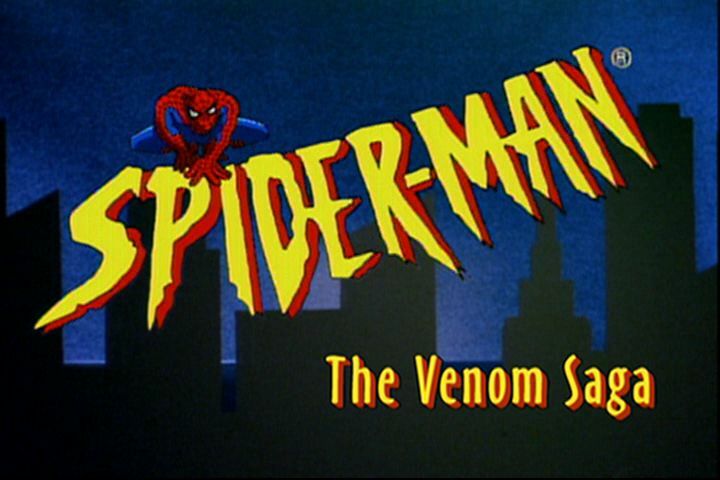 It stars Christopher Daniel Barnes as the voice of Spider-Man and Peter Parker, Sara Ballantine as the voice of Mary Jane Watson, Edward Asner as the voice of J. Jonah Jameson, and Linda Gary as the voice of Aunt May Parker. 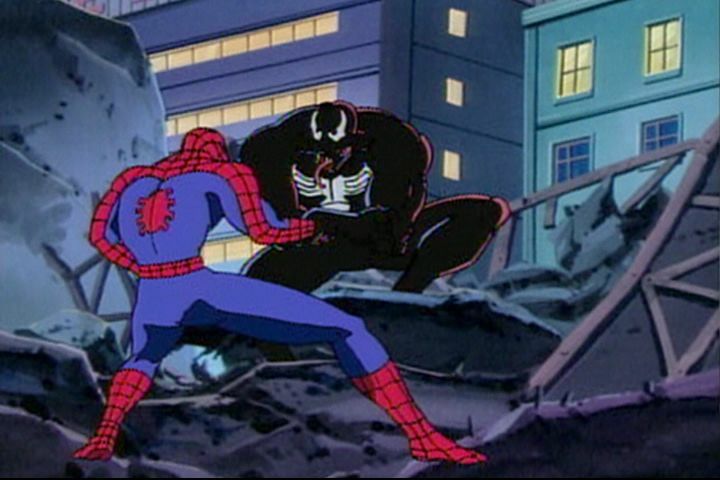 Also check out the official website for Spider-Man - The Venom Saga.